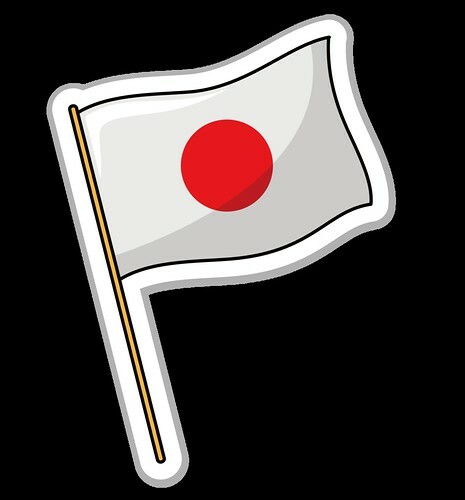 Well, things did have a little change, but I’m still happy to announce that….. I’m moving to Japan soon. Well, after rounds of waiting, I finally got……a confirmation of roughly when I will be going over. At least my current company is so much legit in informing me the estimated date, ensuring that things are going smooth without any hitches. The previous company I applied for didn’t even bother to tell me, and I even had to pester them like what’s the date I’m going over, and when did they submit the application and so on. The whole process was so bad, and I was sulking over it especially when I quit my job earlier (my previous job requires me to sign a contract of 3 years). Anyway, I will cover that in my next post as to why I decided to change my job while I’m waiting for my COE (certificate of eligibility) to be approved. So, I received an email last Friday night after my HDL session with my favorite people! And at first, I was like “OMG! Is it here?” Then when I opened it, the HR manager just informed me that the application is processed smoothly without any glitches, and the estimated date for arrival according to their experience. Maybe I forget to mention this, but I guess I better write it down in case you guys are mistaken. Most of you might think that I’m going to Japan to work for a short period of time, or maybe I’m going there to teach (because that’s the easiest job to get if you do not have any certification to certify that you’re able to work while using Japanese), or getting married (hopefully because I’m still waiting for that proposal to come…). Well, sadly…that’s not true at all. I’ll be heading there…I guess long-term because my contract is a permanent position, meaning to say that my visa is not on a one year basis thing, unless I fail to perform. And it’s not a teaching stint, but rather a proof reading job, making full use of my Japanese language expertise. I do understand that it’s pretty hard to foreigners especially people in East Asian countries to work in Japan if their level of proficiency for Japanese isn’t up to a certain standard, and also getting the highest certification doesn’t mean that you’re proficient in it (I encountered once in my previous job, and I seriously how did she even get it….) Thankfully, my previous job experience helped me alot as I was working with the Japanese real closely, making sure that I speak enough Japanese to cover what I need. And to be honest, I won’t say that my English is awesome, because I barely scored a C5 during O’levels, and since then I’ve stopped “learning” English, and went ahead to focus on Japanese instead when I should actually go and brush up my English and Mandarin. I guess the freelance, voluntary, full-time job and studies at UOL have helped to brush up English to a certain level. So, back to the topic of pre-moving. I have actually done some research, and of course read up on some articles and blog spots with regards to moving to Japan, and also the things to take note, and I guess I’ll also contribute to this small community in case anyone wants to move to Japan for long-term. Some friends also have advised me what to do, and I really thank them for their advices. Mine would be a little different as I’ll be staying with le bf at his mansion in Futagotamagawa area. So, I can just ship my things over. However, if you’re going there alone, it is best if the company can be guarantor for the apartments. The company I’m working for has actually offered to be the guarantor, but I declined it as I will be staying with le bf to cut down on cost. So the main topic is here. I spent about $172 (inclusive of $3 for the delivery guy to pick it up) for 25kg to 30kg worth of stuff for shipping. I decided to ship 1 box instead of 2 boxes because I will definitely need my clothes, shoes and cosmetics, so I decided to buy another new 28″ inch luggage to stuff everything in. Most likely, I will be taking JAL, and JAL allows you to check in 2 23kg luggages, which means you will get a total of 46kg worth of luggage weight. On top of that, if you want to check in extra luggage, you will only need to pay about 100++ or so, and you can get to check-in another luggage. I mean why not? Since I needed the stuff immediately, I might as well pay $100 and over to bring them over instead of waiting for a month. Furthermore, I doubt le bf house has much space for me to bring everything over, so I decided to bring things that I really needed, and sell the rest (concert goods, Arashi CDs, DVDs) to other people who really wants to own them. I’m not sure if anyone does this now, but because living and working in Japan will mean that you will have ZERO CPF in your account, and what if I want to contribute to my CPF account if I’m working overseas? Most Singaporeans I know won’t do that, but there might a minority who wants to do so, so I’m sharing the procedures that I have inquired to CPF board. – Send in a request to inform CPF board that you want to do voluntary top-up of CPF. – After sending the request, you have to wait for a month before the reply comes back, and make sure you set up a GIRO to do the monthly top-up. -Monthly top-up is better than annual top-up because for annual you got to do annually each time, where as monthly is directly debited from your account. The reason why I want to do a voluntary top-up for my CPF is because I don’t foresee myself using the money until the age of 35 to buy a 2nd hand flat, and then renting it out for 2nd income (ideally, but not sure if it is feasible). And CPF is just my backup plan just in case anything goes wrong. No doubt I will get lesser because of the taxes that I need to pay in Japan, but I find it as a form of assurance even though there are so many people in Singapore mentioning that CPF is locked up and there is no way you will get your money back, and so on. I also did the planning for my monthly budget on how much to save and how much I can spend. Thankfully, the Company is paying for all my transportation cost (to and fro from home to workplace), so I can save abit on this part. From what I know, I think working as a teacher in private institutions doesn’t give you transportation allowances (correct me if I’m wrong). So maybe you would want to take this into consideration. I have started to plan my route from home to office (will be at Yokohama area), and even though I haven’t been to the office yet, but I did try to use Google map to help me find my way to the office, so at least I will not get lost on my first day. Also checked out the possible train routes that I can take just in case there is any train fault problem. Here are some apps which I recommend. Yahoo乗換案内 is one of the apps I always use even though I’m traveling in Japan because it always gives the latest information about the trains and also any warnings if there is any. There is also 乗換NAVITIME which also helps to plan your route well. Both are in Japanese, so if you can understand Japanese, these 2 apps are really great. For those who don’t know Japanese, I think there is Jorudan which is pretty useful. I used that when I first went to Japan on a solo trip without knowing my way around Tokyo. Definitely helpful, and this is really great for tourists. I guess that’s about the pre-moving part, and I hope this has been useful…at least.